Old West culture, mining history and ghost towns meet art galleries, Arizona’s Wine Country vineyards and an outdoor oriented lifestyle of health and wellness. Spectacular mountain ranges soar above the desert floor creating “Sky Islands” which harbor tremendous biological and geographic diversity, rare not just in the US but in much of the world. Patagonia is a renowned destination for many American, Canadian and European birders lured by the area’s spectacular array of exotic and unusual birds. The Mountain Empire contains important conservation areas, including one of the only remaining high desert short-grass prairies in America, the San Rafael Valley. The Mountain Empire: One of the best kept secrets in Arizona! 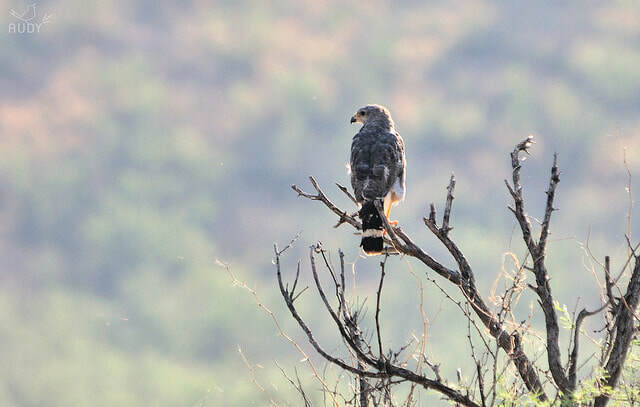 The Nature Conservancy’s Patagonia-Sonoita Creek Preserve and Patagonia Lake State Park are known worldwide for the 300 species of birds that migrate through or nest along their creeks and waterways. The Paton’s house is well known for its hospitality to hummingbirds and the people who like to watch them. 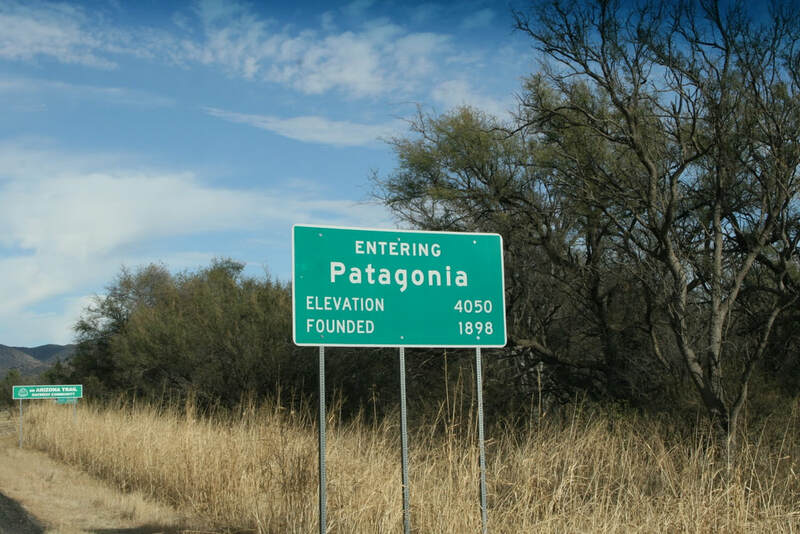 Patagonia also offers access to numerous hiking trails, including the historic Arizona Trail, and is just 19 miles from Sonora, Mexico. Visitors come for the spectacular scenery of the valley in which Patagonia is nestled, and the clean air that beckons hikers into the surrounding canyons. ​The pristine valley is so quintessentially Western that the movies Oklahoma!, McLintock! and a number of John Wayne westerns were filmed here. Hikers, bikers and campers find much to see and do in the stunning Coronado National Forest which surrounds the area. Patagonia is a Trailhead Community for the Arizona Trail. Cowboy culture is alive and well in the Mountain Empire. Visitors come to stay at the local guest ranches, and horseback riding is a way of life not just for local ranchers but for many of the town locals as well. This is grass-fed beef country and the golden hills are dotted with a wide variety of grazing cattle. Art lovers visit the local galleries which feature work by skilled local artists and artisans and a number of known writers thrive in the community. The Mountain Empire bustles with exciting events year round. Get a taste of the local arts scene at the Patagonia Art Walk in November, when galleries, shops and even restaurants feature works by local artists. During winter and spring, the Santa Cruz Foundation for the Performing Arts hosts public concerts in area homes and ranches. With the Tin Shed Theatre, the Mountain Empire has an intimate venue for everything from local and classic plays to an international film festival. On the second weekend of October, the annual Patagonia Fall Festival features more than 140 arts exhibitors under the shady trees of Town Park. Sonoita’s Santa Cruz County Fairgrounds hosts numerous events during the year. Labor Day is the Grand Canyon Pro-Rodeo, and fall sees the Santa Cruz County Fair. And in the spring people flock to the nearly hundred year old Annual Sonoita Horse Races, the oldest quarter horse races in the US. 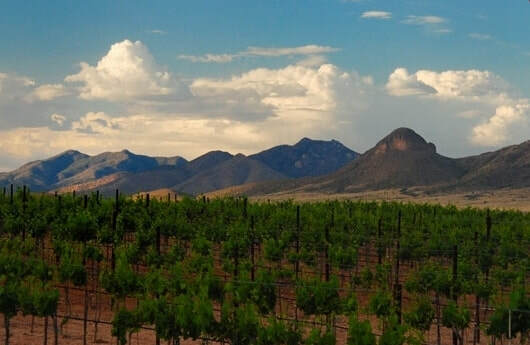 The rolling hills of Wine Country in Sonoita and Elgin are home to some of the best wine in the United States, with frequent wine tastings, winery tours and unique and fun festivals drawing wine aficionados from all over. The communities of the Mountain Empire, Patagonia, Sonoita and Elgin are also a great central location for day trips to Bisbee, Tombstone, Tubac, the wondrous Karchner Caverns, and Mexico. The community of Patagonia, in particular, is home to many talented artists, artisans and writers. Here you’ll find potters, weavers, jewelry makers, painters, folk and avant garde artists, as well as many known and not so well-known writers. Come for a visit and you may decide to live here!